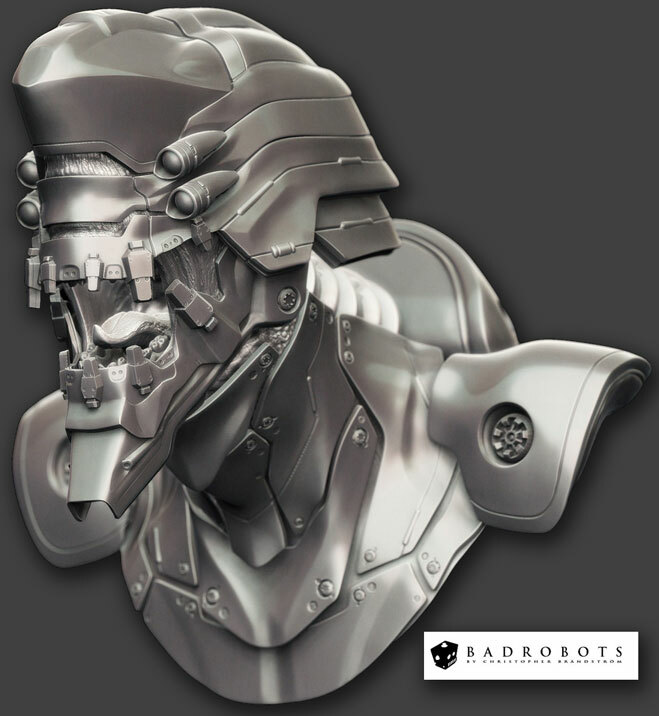 ZBrush has several features specially designed for hard surface or mechanical sculpting. With the Planar, Trim, Polish, and Form brushes, combined with the improved Lazy Mouse and the new Backtrack feature, you can make accurate planar surfaces on your models. You can easily build armor, weaponry and other props, or sculpt complete robots and all kinds of mechanical shapes. To help you get going in your mechanical world, ZBrush provides you with an array of new dedicated hard-surface brushes. Mechanical sculpting is mainly based on the Planar brushes, the Trim brushes, and the Polish brushes. Along with Lazy Mouse and brush adjustment features such as Imbed and Depth parameters, you can build a near infinite array of custom brushes which will perfectly suit all your sculpting needs. Only your imagination will slow you down!